I have a humongous love for jollof rice and rice in general and I needed healthier options. I tried Quinoa, but I eventually got tired of it . So, I decided to try Bulgur. I remember trying out jollof bulgur last year and man was I hooked. Hooked on bulgur that is. 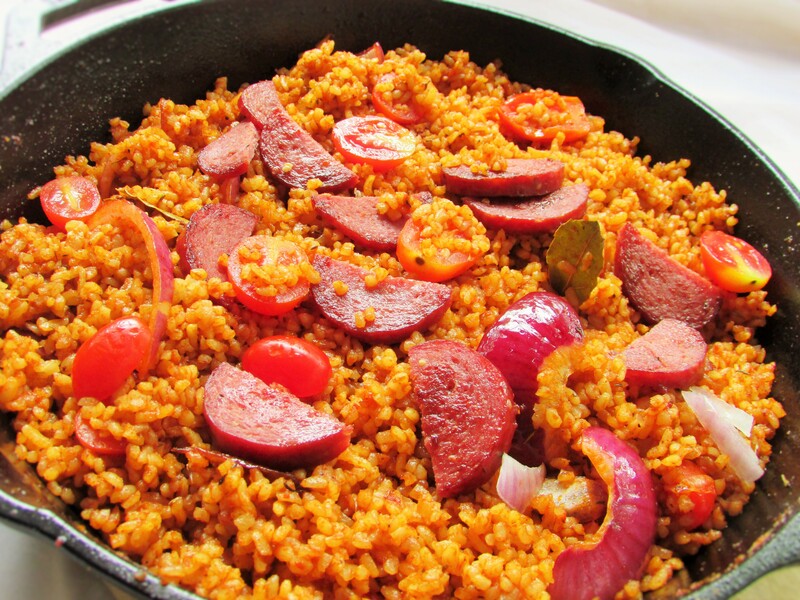 Bulgur is very fit fam friendly especially as a rice substitute. I am in love with rice and can eat rice all day, but while joining the fit fam train, and apart from brown rice, I kind of needed a substitute, so when I found out about bulgur wheat I was absolutely thrilled. Basically, what is Bulgur? 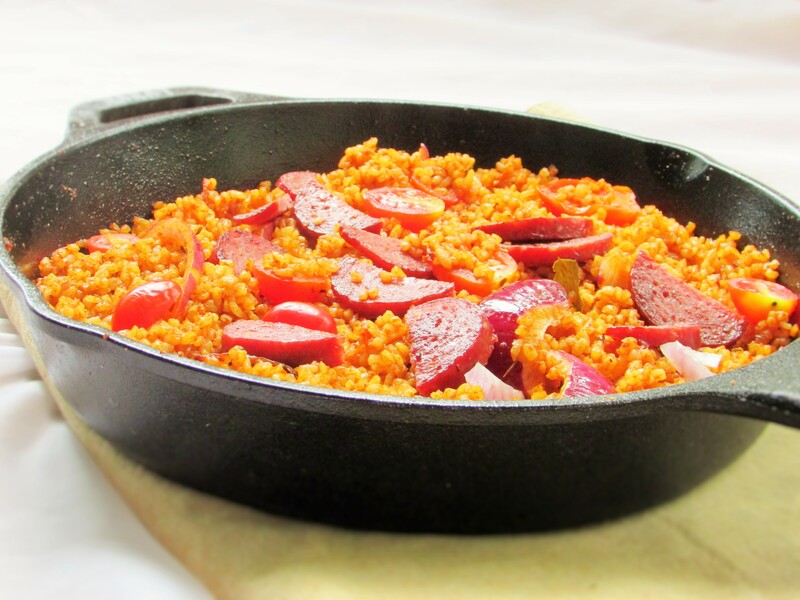 Bulgur is a parboiled, dried and cracked wheat grain, mostly gotten from durum wheat. 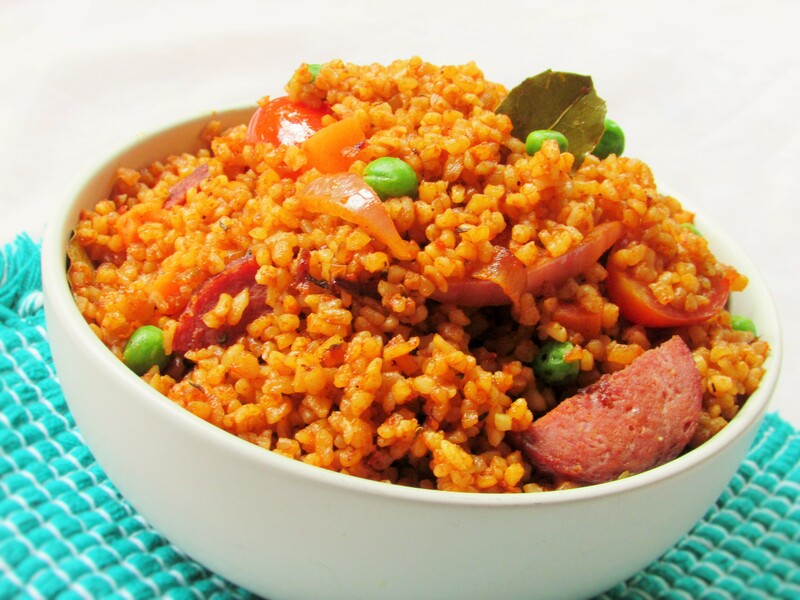 When compared to rice, bulgur contains more proteins and is rich in fiber. Honestly, as a lover of rice, substituting with bulgur has been a huge relief. My ajebutters cannot even tell the difference. After a few tries with bulgur, I also have a perfected method to cook it without it turning to mush. I always make sure, the water is piping hot and boiling and I also make sure that the water is right on the same level as the grain; this helps to prevent over cooking. 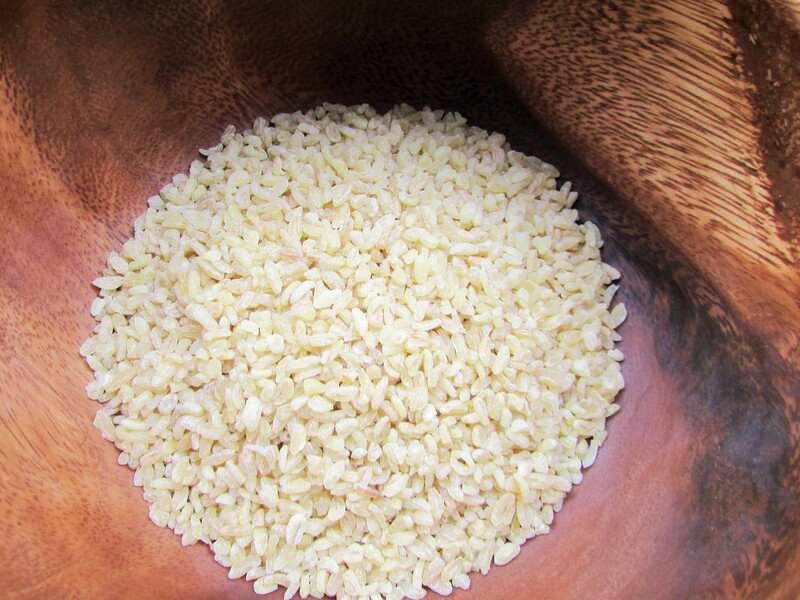 Making this grain into jollof rice was one of the best decision I ever made using this grain. It is quite easy and infused with flavours. A eureka moment :). Before making this dish, I had bumped into a picture on Instagram and with one click, it lead me to The Cozy Apron. I have to say Ingrid is my type of cook. She sure knows how to throw it down in her kitchen. Anyway, while going through her blog site, I found a recipe for red rice; of which the process was a tad similar to Jollof rice. She had also made it in a skillet and it reminded me of my Aunty and her home cooking. My Aunty cooked almost everything in a skillet 🙂 Anyway, I decided to follow Ingrid’s steps and I kind of added my own “Lazy twist” to it. Also, remembering the advantages of cooking in a skillet, I decided to do the same. 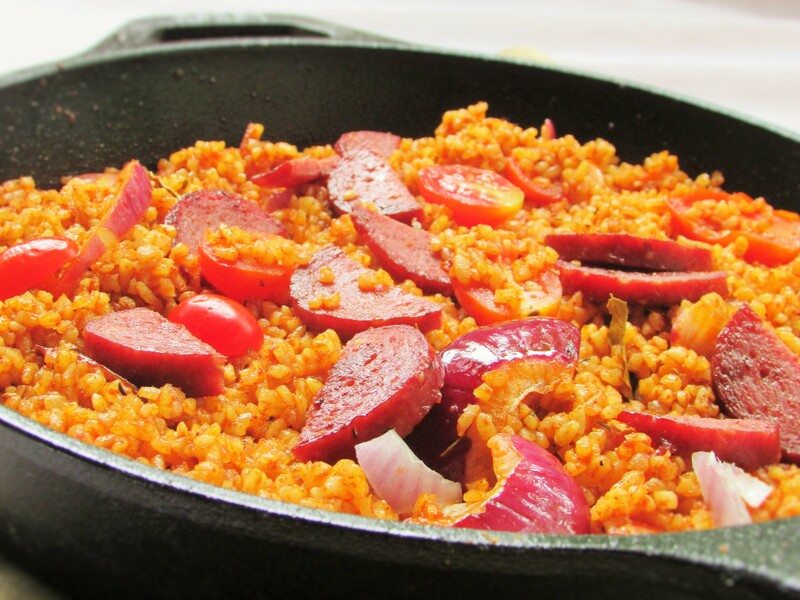 You see, cooking in a skillet or a shallow pot kind of makes it easier for grains like rice to cook evenly. The shallower the skillet is, the better and easier it is to cook. Apart from that, a skillet is kind of equivalent to the Nigerian clay pot. It makes everything taste better. My Aunty cooked in a skillet a lot, so I know 🙂 But, it is also okay to use a sauce pan or a regular cooking pot if you do not own a shallow pot or skillet. The food will still cook and taste great and you will have your Eureka moment! Meanwhile in a skillet or sauce pan, sear the beef sausages until golden brown on each side. Drain onto a paper towel. This entry was posted in Bulgur, Bulgur wheat, jollof, Jollof Bulgur, Jollof coconut pasta, Jollof pasta, Jollof rice, Jollof spaghetti, Lunch, main dishes, main meals, Side dishes, Uncategorized and tagged Bulgur, Bulgur recipe, Bulur wheat, jollof bulgur recipe, jollof bulgur wheat recipe, jollof recipe, jollof rice, Jollof rice recipe.